Graded FAIR 20 by SGC. Hall of Famer Honus Wagner in a batting pose from the E95 Philadelphia Caramel series, one of Wagner's most beautifully designed cards and one of the key cards from this rare and classic 1910-era candy set. The image on this card is unique to the set. The offered card is bright and crisp, with a strong image, bold colors, evenly rounded corners, and centering toward the bottom left. There are several creases and light soiling. 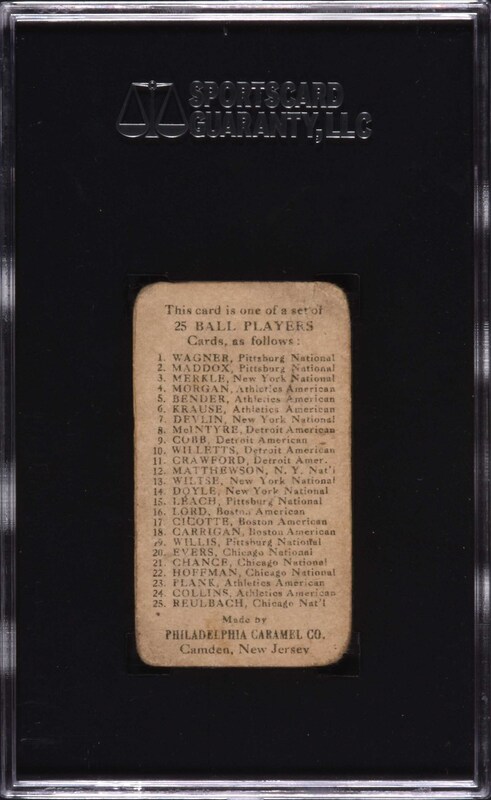 The E95 Philadelphia Caramel card of Honus Wagner is one of his most highly prized cards in any grade. 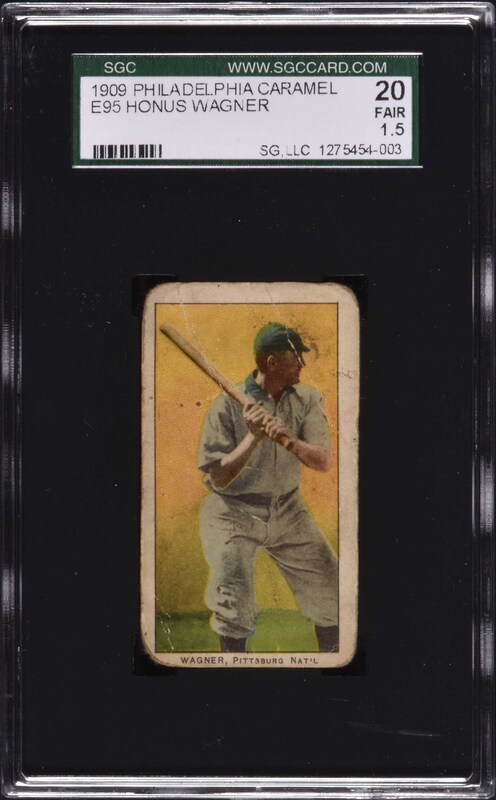 Relatively affordable example of one of Wagner’s most desirable cards from one of the most popular and colorful of all “E” card issues. Reserve $300. Estimate $500+.